BookNet Canada, in partnership with BISG, has launched a free web-based tool that translates BISAC subject codes into Thema subject and qualifier codes. The BISAC to Thema Translator makes use of BISG’s handy BISAC to Thema mapping to give publishers an easy way to translate the BISAC codes they already use into Thema codes that we fully encourage them to begin using. Where can I find this BISAC to Thema Translator? In North America, we use BISAC to classify our books. However, Thema gives us a common classification language to use when trading globally. Its purpose is to reduce the number of schemes that a publisher has to maintain to trade across borders—and that sounds pretty great to us, considering the sheer number of such schemes currently in play globally. The BISAC to Thema Translator allows you to easily get a leg up on Thema by using subject codes that you already have. What about the BISAC Classification Schemes? 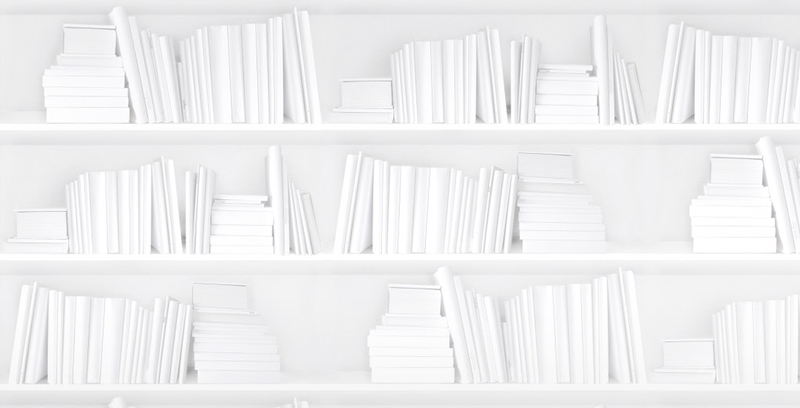 At least for Canada and the US, we fully expect that BISAC will continue to be used and developed in our market, so users should continue classifying their books with BISAC. BISAC and Thema can co-exist on the same book so there is no need to worry. How does the BISAC to Thema Translator work? The translator allows for two ways in which to look up code translations. After confirming your human status by entering your email address and recreating the captcha (don’t worry, we won’t email you unless you ask us to), you can either perform a quick one-off lookup of a BISAC code or you can upload a list of BISAC codes for translation. To look up the Thema translation of a single BISAC code, simply type to search for the BISAC code, or select a BISAC subject from the drop-down list. Once you’ve made a selection, the translator will return the corresponding Thema subject and qualifiers in the sections below. The mapping is not 1:1, so it is possible for a single BISAC subject to correspond to multiple Thema subjects and qualifiers. BISG recommends using all Thema subjects/qualifiers returned for any given BISAC code, rather than selecting a single option from the results. While every BISAC code corresponds to at least one Thema subject, it is possible for there to be no associated qualifiers. In such cases, you will see “None” in the qualifier code section. To look up the Thema translations for multiple BISAC codes at a time, you can upload an Excel or CSV file containing ISBNs and their corresponding BISAC codes. Once your file has finished uploading, the translator will generate a new file, in the same Excel or CSV format you used, with all Thema translations included. This resulting file will download automatically on your end. The complete BISAC to Thema mapping is available from BISG as an Excel spreadsheet: you can get it for free if you’re a BISG member or if you purchase the BISAC End Users’ License. For more information on BISAC subjects, or to obtain an End Users’ License, have a look at the BISG site. 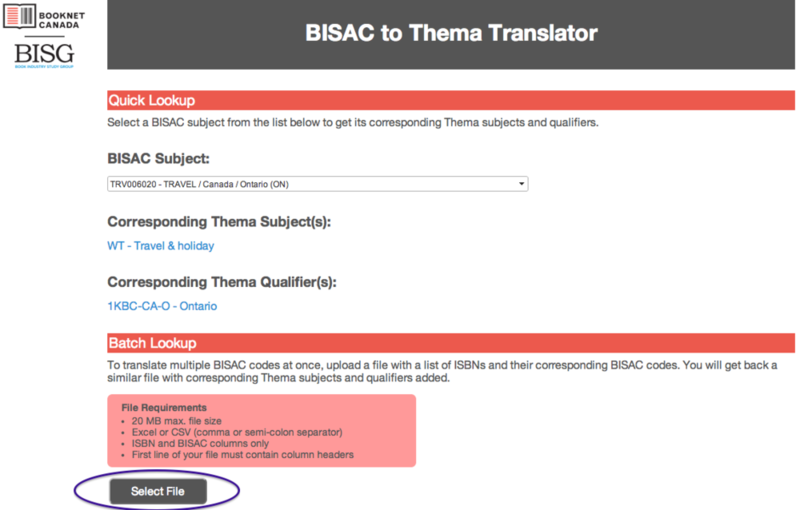 For further instructions on using the BISAC to Thema Translator, please consult our help documentation. For more information on how to use Thema subjects and qualifiers, have a look at our Thema documentation.